On Sept. 27, General Colin L. Powell, USA (Ret), Chairman of Eisenhower Fellowships, announced that the organization will send eight U.S. citizens abroad in 2013 as Eisenhower USA Fellows. 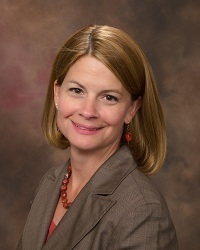 Among the eight selected Fellows is Polly Ruhland, Chief Executive Officer of the Cattlemen’s Beef Board. The fellowship provides Ruhland with the resources and programmatic support to create and execute an intensive four- to five-week program studying differentiation of U. S. beef in Japan and Taiwan. Working closely with beef checkoff contractor U.S. Meat Export Federation (USMEF), Ruhland will meet and work with key industry contacts to evaluate techniques and messages that would help U.S. producers better distinguish U.S. beef in both markets.